ROME - A new restaurant began serving Rome on July 1. 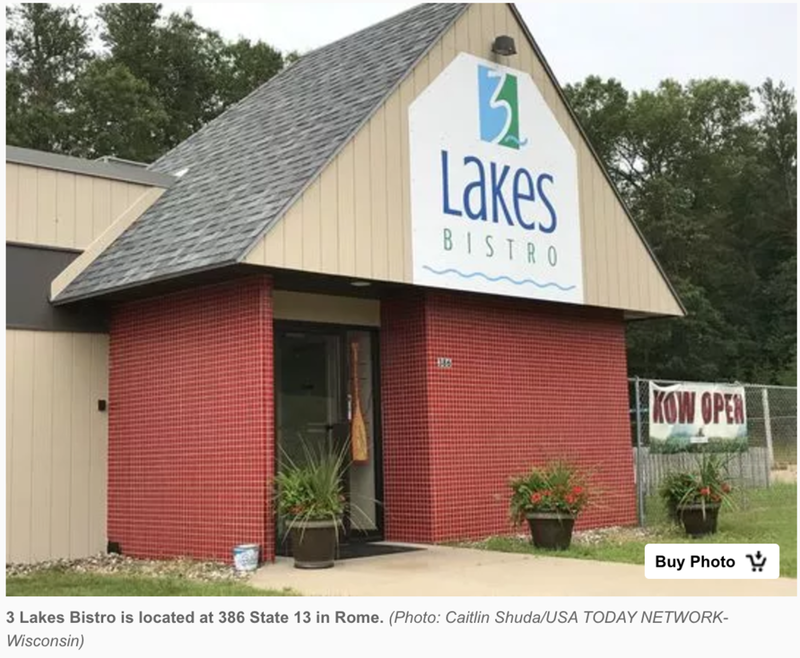 Rick Finco opened 3 Lakes Bistro as a new dining option for the village and the surrounding area. He said there are already a lot of bar and grill restaurants, and he wanted to offer something different. Finco describes the restaurant as a casual place to find fresh cuisine. It's not a bar and grill or a supper club, but a bistro. For Finco, food has always been part of life. Finco remodeled almost everything inside the restaurant to create a clean and welcoming environment for guests. The inside seats about 45 to 50 people, and additional tables are available outside. Finco said the menu changes fairly regularly, so guests can expect to see the current items printed on regular paper. Pizza, crab cakes, chicken, wraps, pasta and burgers are all on the list, along with a “Gluten Free Zone” added due to an increase in demand. The restaurant is open from 5 p.m. to 10 p.m. Wednesday through Monday at 386 State 13 in Rome. Reservations and take-out orders are available. For more information, call 715-325-2511 or find 3 Lakes Bistro on Facebook. Can Sand Valley Make Wisconsin the Next Golfing Destination?